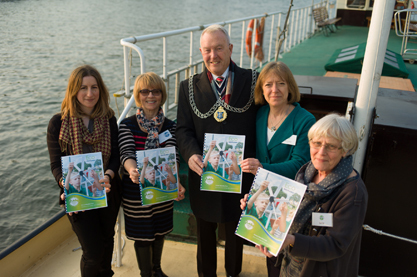 On the 18th March 2015 the River Thames Boat Project launched its new sustainability programme with a special event on the Thames Venturer. The launch was attended by the Mayor of Kingston Cllr. Ken Smith who gave his full support for the new programme. ‘Eco Venturers’ is an exciting day of water, energy, waste, green design and technology workshops, based on Venturer, which challenge children to rethink their current lifestyles and inspire them to be the eco inventors of the future. Gemma Hindi, Environmental Education Coordinator, said: “We are thrilled to be launching Eco Venturers! It is an innovative new programme offered to primary schools in addition to our popular education programme, School on the River. We are looking forward to delivering more workshops this year”. 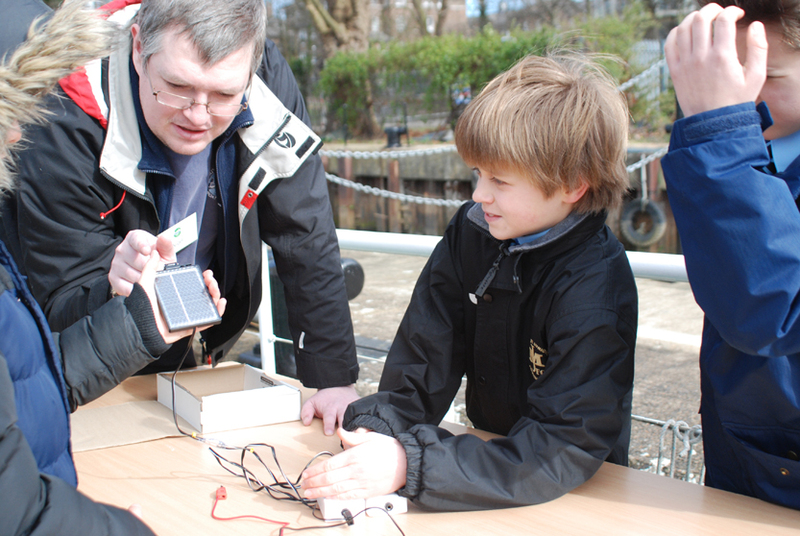 Groups receive a free Education Pack with their booking, endorsed by Trevor Baylis, local inventor of the wind up radio. Feedback from the Eco Venturer pilot schools has been very positive, with teachers pledging to rebook the following year. 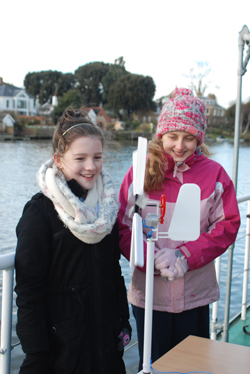 The Eco Venturers’ programme has been generously funded by the City Bridge Trust and Kingston Borough Council.